One year of work from now to complete construction. 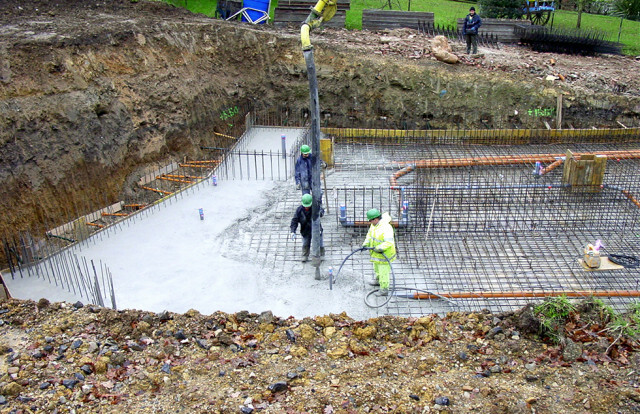 We have minimize the use of concrete strictly to the areas above ground. The rest of the building will be built on steel and covered with a foam and flexible stucco blanket to guarantee maximum insulation and minimum weight.